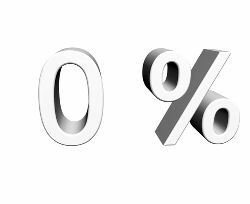 The range of 0% balance transfer offers available in the competitive UK credit card market is constantly changing as the credit card companies compete for customers. There are balance transfer offers available on cards with 0% on balance transfers for 1 month all the way up to credit cards with 0% on balance transfers for up to 32 months. The length of the balance transfer introductory offers are not the only factor in choosing the right balance transfer credit card of course. Balance transfer fees also vary between each different credit card. In general, cards with shorter balance transfer deals have lower balance transfer fees. Credit cards with the longest 0% introductory offers do tend to have higher balance transfer fees. At Balance Transfer Expert we currently have details of each and every card with 0% balance transfer promotional rates available online. Details of all of the more than 80 cards can be found on our balance transfer cards page. More of the current 0% balance transfer deals and offers from all of the major credit card companies can be found on our best balance transfer credit cards page. We also have balance transfer cards with no transfer fee on our no fee balance transfer credit cards page. The very best balance transfer offers are generally only available to those customers with a good or excellent credit history. 0% introductory offers on balance transfers are available on both Visa balance transfer cards as well as on MasterCard balance transfer cards. « « Is Barclaycard MBNA?